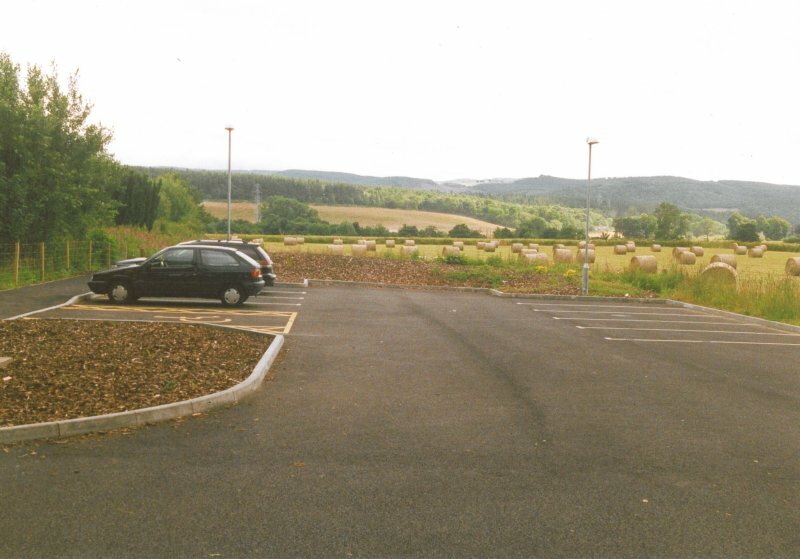 Beauly station 10 miles to the West of Inverness was opened in 2002 at a cost of £250,000. 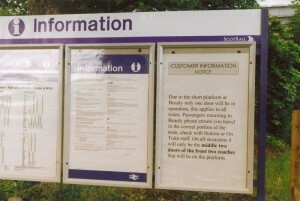 The station platform is unusually short at 15 metres in order to minimise overall cost, so the train conductor opens only one door when trains stop. The short platform has not given rise to any problems in practice and station usage is now around 35,000 passenger journeys per year. 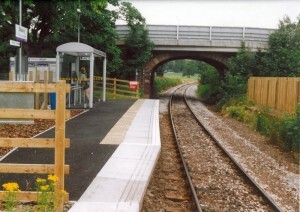 The photograph below shows the station platform and shelter. Click on the photograph to see an enlarged version. In addition to the platform itself with its shelter, the £250,000 also paid for a 10 bay car park and a new access road 120 metres long. 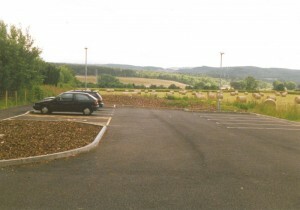 The photograph below shows the car park. 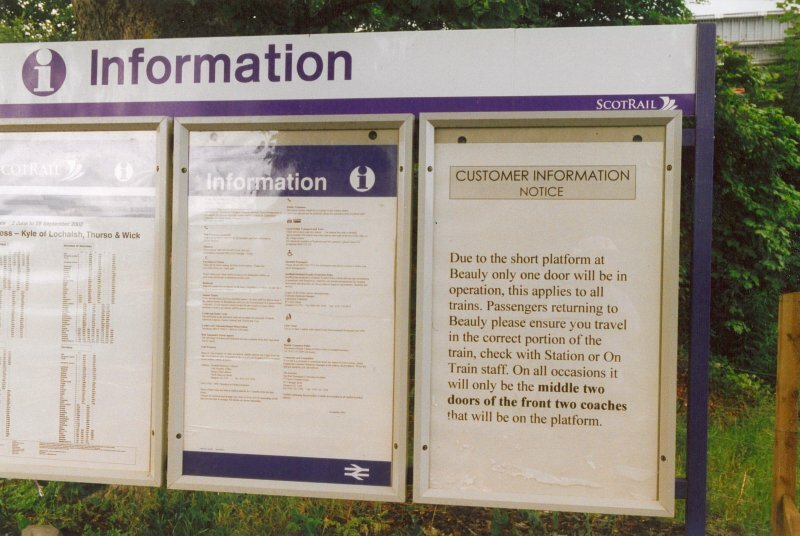 Clear instructions are provided on the station about which part of the train to use when travelling to Beauly. See photograph below.